As a Life Coach, I work to hold the space in session for you to sit with yourself and see yourself and life as it has never been seen before. This new perspective can be profoundly cathartic as you are encouraged to experience the totality of your emotions, thoughts and feelings. Only then do you realize you are so much more than them. Much of our own suffering can be alleviated when we share it with another, when we have the courage to look into our discomfort and pain (lean into it), we can discover how the moment is serving us, in whatever form it comes in. My sessions bring a shift in consciousness. They are not interesting, in the sense that you can play around with concepts. Once you are ready and choose to begin the process, we will work together to accelerate the dismantling of everything holding you back and allow the truth of who you are to emerge. Our home and office environment matter. When you walk into a space you can feel the energy, it can be either relaxing and restorative or chaotic and stress invoking. Space consultation involves perceiving the needs of the work or home environment and how the space best meets those needs. I often found that changing a client’s internal world, left them wanting a distinct change in their external environment.For example, improving a couples marriage may fall flat when they return to the same dull bedspread and piles of magazines on nightstands. So I started offering my intuitive design and knowledge in what I call space consultation. I am available to come to residential and commercial spaces, offering guidance and design expertise that will help you’re living and work environment feel as good as the insides. A paint color adjustment, decluttering, new bedding or rearranging furniture can make all the difference and sometimes a fresh perspective is all thats needed. If you would like to know more about past projects, I have done and see photos, email me at livingtheexhale@gmail.com. Danielle is not a licensed therapist at this time. If you are in need of Mental Health Therapy please, Click HERE for list of Local Mental Health and Substance Abuse resources. Want more practitioners like Danielle? View Danielle’s personal recommendations in Southwest Florida LOCAL HEALERS. Well-writtent blog post Thanks for sharing . Yes, I do I mostly post on instagram and Facebook, both called LivingTheExhale. You can also add your email if you haven’t already to get email updates to my blog and website. I will be utilizing my Youtube page (LivingTheExhale) soon for yoga, qigong and meditation videos. effective. A lot of times it’s very hard to get that “perfect balance” between superb usability and appearance. understand this side of the story. I was surprised that you’re not more popular since you surely possess the gift. Hey there! I’ve been following your website for a while now and finally got the bravery to go ahead and give you a shout out from Kingwood Texas! how to genuinely obtain valuable facts regarding my study and knowledge. is a little plain. You ought to look at Yahoo’s front page and see how they create article headlines to get people to open the links. I take pleasure in Philly! Incredible posting! I very get pleasure from your difficult effort and hard work! gPjEfW There is apparently a bunch to identify about this. I assume you made various good points in features also. It’s funny that I agree with the 1st paragraph you wrote. Thank you so much. Thanks. The best. Simply. I really liike the points made in the 1st and 2nd paragraph. Thank you so much for the blog. I am a huge fan of your site. My brother texted me this article and I thought it was funny so I’m gonna share on Facebook. Spot on with this write-up, I truly feel this website needs much more attention. I’ll probably be returning to read more, thanks for the advice! I just want to mention I am very new to blogging and site-building and truly loved your website. Most likely I’m planning to bookmark your blog . You definitely have remarkable articles. Thanks a lot for sharing with us your website page. tһanks fߋr sharing. . . . . .
to find this topic to be really something that I feel I would by no means understand. have you book marked to check out new things in your site. with? I’m going to start my own blog soon but I’m having a hard time making a decision between BlogEngine/Wordpress/B2evolution and Drupal. Thanks for sharing your thoughts on สิวอุดตัน. I’ve a mission that I am just now running on, and I’ve been on the glance out for such information. web site who has shared this enormous piece of writing at at this time. the last phase 🙂 I take care of such info much. lot of the subjects you write concerning here. Again, awesome weblog! I’m no longer sure whether or not this post is written through him as no one else realize such certain about my problem. see this blog on regular basis to obtain updated from most recent news. I have to show some appreciation to the writer just for bailing me out of such a instance. Because of looking out throughout the online world and meeting basics that were not powerful, I believed my life was over. Being alive without the approaches to the problems you have solved by way of your entire guide is a serious case, as well as ones which may have badly damaged my entire career if I hadn’t discovered your website. The natural talent and kindness in dealing with the whole thing was crucial. I am not sure what I would have done if I hadn’t encountered such a step like this. I can also at this moment look ahead to my future. Thanks a lot so much for your expert and sensible guide. I will not hesitate to refer the blog to any individual who needs to have support on this issue. Hello to every , as I am really eager of reading this weblog’s post to be updated daily. Hi there, what do you feel with regards to upvc back doors? Extremely fascinating idea, huh? 58O6EF This blog is without a doubt awesome and informative. I have picked a lot of handy advices out of this blog. I ad love to come back again soon. Thanks a bunch! 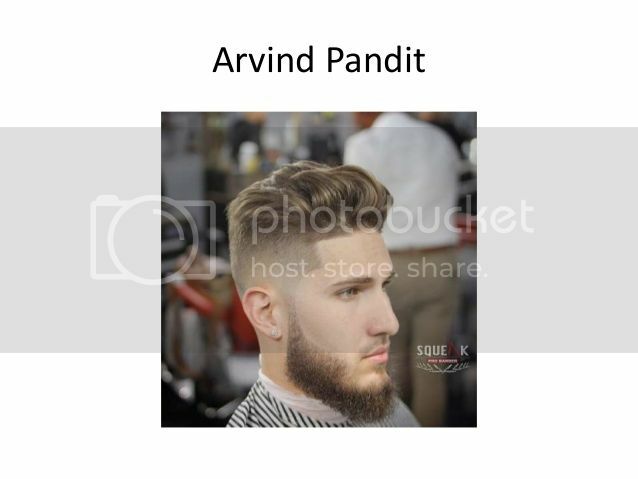 Hey I’m truly happy I discovered your blog page, I really found you by mistake, while I was looking on Yahoo for Arvind Pandit. Anyhow I am here right now and would just love to say many thanks for a marvelous write-up and the all-round fun site (I also like the design), I do not have enough time to look over it entirely at the minute however I have book-marked it and moreover included the RSS feeds, so when I have enough time I will be back to go through a lot more. Make sure you do maintain the amazing job. I always go through your articles attentively. I’m also looking into wireless home intercom system, you could discuss this sometimes. Have a nice day! utilizing? I’m having some minor security problems with my latest blog and I would like to find something more secure. I do love the manner in which you have presented this specific situation plus it does give me personally some fodder for consideration. On the other hand, because of just what I have seen, I simply hope when the responses pile on that individuals keep on point and not embark on a tirade associated with the news du jour. Yet, thank you for this outstanding piece and though I can not really agree with the idea in totality, I regard your point of view. I simply want to tell you that I’m all new to blogs and certainly savored this web blog. Most likely I’m want to bookmark your blog . You absolutely have superb stories. With thanks for sharing with us your web site. It was wonderful to read this and I believe you’re totally correct. Tell me if perhaps you are thinking of more followers on instagram, this is my primary competence. I am hoping to hear from you soon enough, take good care! Can I just say what a relief to seek out somebody who really is aware of what theyre talking about on the internet. You undoubtedly know methods to convey an issue to mild and make it important. More folks must read this and perceive this side of the story. I cant believe youre no more well-liked because you definitely have the gift. Hi there, what do you feel about 1080p movies? Extremely neat issue, isn’t it? Hey there, what do you really feel concerning personal injury attorney? Extremely awesome matter, huh? I think this internet site contains some really fantastic information for everyone :D. “Anybody who watches three games of football in a row should be declared brain dead.” by Erma Bombeck. Admiring the time and effort you put into your website and detailed details you provide. It’s good to find a blogging site every now and then which is just not the similar out of date rehashed material. Great read! I’ve bookmarked your blog and I am including the RSS feeds to my own ethereum stock web page. I simply could not leave your site before suggesting that I really enjoyed the standard information a person supply in your guests? Is gonna be back often to check up on new posts. Your content is excellent but with images and videos, this website could definitely be one of the best in its field. desire more? I mean Services – Living The Exhale is kinda boring. You should glance at Yahoo’s home page and see how they create article headlines to grab people interested. this is off subject nevertheless I just wanted to ask. this website’s post to be updated daily. It carries fastidious stuff. and will be checking back in the near future. Take a look at my website as well and tell me how you feel. Hi there! This is my first comment on your website so I just wanted to give a fast hello and tell you I genuinely enjoy reading through your blog posts. Can you suggest other sites which cover mowers for sale? I am also really keen on that thing! Many thanks! Well with your permission allow me to clutch your RSS feed to stay updated with impending post. future. I want to encourage you continue your great writing, have a nice morning! of course like your web-site but you need to test the spelling on several of your posts. A number of them are rife with spelling issues and I in finding it very bothersome to inform the reality nevertheless I will surely come back again. yourself? Anyway keep up the excellent quality writing, it’s rare to see a nice blog like this one today. I have recently started a web site, the info you offer on this web site has helped me greatly. Thanks for all of your time & work. “Never trust anybody who says ‘trust me.’ Except just this once, of course. – from Steel Beach” by John Varley. I am no longer sure where you’re getting your information, but good topic. I needs to spend some time studying more or working out more. Thank you for wonderful information I used to be searching for this info for my mission. Rattling nice design and wonderful articles , hardly anything else we need : D.
Very nice design and style and wonderful articles , very little else we need : D.
Howdy very cool blog!! Man .. Beautiful .. Amazing .. I’ll bookmark your website and take the feeds also…I am satisfied to search out so many helpful information here within the put up, we want work out extra strategies on this regard, thank you for sharing. Just wanna remark on few general things, The website design is perfect, the subject material is real good : D.
There are certainly numerous details like that to take into consideration. That may be a great point to convey up. I provide the thoughts above as basic inspiration however clearly there are questions just like the one you deliver up the place an important factor can be working in honest good faith. I don?t know if best practices have emerged round things like that, however I’m certain that your job is clearly recognized as a good game. Each girls and boys feel the affect of just a second’s pleasure, for the remainder of their lives. I¡¦m no longer certain the place you are getting your information, but good topic. I needs to spend some time studying more or figuring out more. Thank you for excellent info I used to be searching for this information for my mission. 4. I’m trying to find a template or plugin that might be able to fix this problem. You are my inspiration, I own few blogs and very sporadically run out from brand :). “Follow your inclinations with due regard to the policeman round the corner.” by W. Somerset Maugham. naturally like your website but you need to test the spelling on several of your posts. Several of them are rife with spelling issues and I find it very troublesome to inform the reality however I will definitely come back again. You can certainly see your skills in the work you write. The sector hopes for more passionate writers such as you who aren’t afraid to mention how they believe. At all times follow your heart. “There are only two industries that refer to their customers as users.” by Edward Tufte. Appreciating the persistence you invested in this blog and in depth material you offer. It’s awesome to come across a blogging site from time to time which is just not the same obsolete re-written stuff. Great read! We have saved your site and I am including your RSS feeds to my own canon printer utilities web page. Thanks for sharing excellent informations. Your web site is so cool. I’m impressed by the details that you have on this website. It reveals how nicely you perceive this subject. Bookmarked this website page, will come back for more articles. You, my friend, ROCK! I found simply the information I already searched all over the place and just could not come across. What a perfect website. Somebody essentially lend a hand to make significantly articles I would state. That is the first time I frequented your website page and to this point? I surprised with the analysis you made to make this particular publish extraordinary. Magnificent task! I just arrived right here via some other page on the subject of canon printer installation software and thought I should look into this. I love what I see therefore now I am following you. Looking towards finding out about the website yet again. I like this website very much, Its a very nice situation to read and incur information. “Philosophy is a battle against the bewitchment of our intelligence by means of language.” by Ludwig Wittgenstein. Keep up the superb work , I read few posts on this internet site and I believe that your website is really interesting and has bands of great information. Hi, I check your blog regularly. Your humoristic style is witty, keep doing what you’re doing! I’ll right away grasp your rss as I can not to find your email subscription hyperlink or e-newsletter service. Do you’ve any? Kindly permit me recognise in order that I may just subscribe. Thanks. I simply desired to thank you very much all over again. I do not know what I could possibly have accomplished in the absence of the actual tricks revealed by you relating to that industry. It became a real daunting dilemma in my view, nevertheless coming across a new expert manner you solved that made me to weep with gladness. I’m happier for your advice and even hope that you recognize what a powerful job you happen to be putting in training most people using your web blog. More than likely you haven’t met any of us. you’re truly a good webmaster. The website loading pace is incredible. It kind of feels that you are doing any unique trick. In addition, The contents are masterwork. you’ve performed a magnificent process in this subject! I precisely desired to appreciate you once again. I am not sure the things I could possibly have made to happen without those aspects revealed by you directly on my problem. It absolutely was a very fearsome condition in my view, nevertheless being able to view a specialized strategy you processed it took me to jump with fulfillment. I am thankful for the help and thus pray you comprehend what a great job you were providing training other individuals all through your blog. Probably you have never come across any of us. Hello, Neat post. There’s an issue with your site in internet explorer, may test this¡K IE still is the market chief and a large component to people will miss your excellent writing due to this problem. I really enjoy reading through on this site, it holds superb posts. “One should die proudly when it is no longer possible to live proudly.” by Friedrich Wilhelm Nietzsche. You are my inhalation, I have few web logs and occasionally run out from post :). “To die for a religion is easier than to live it absolutely.” by Jorge Luis Borges.